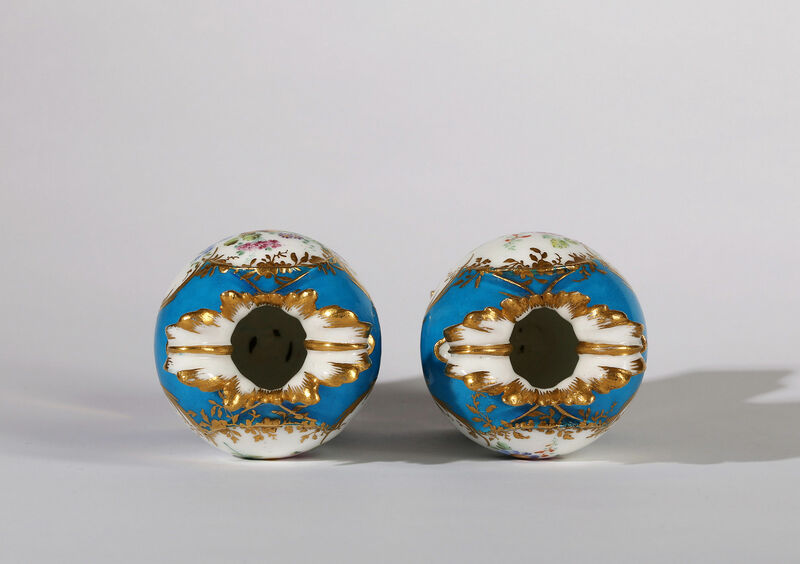 One with Interlaced ‘L’ mark and Date letter ‘C’ for 1756 in blue enamel, both with painters mark ‘S’ for Méreaud l’ainé. 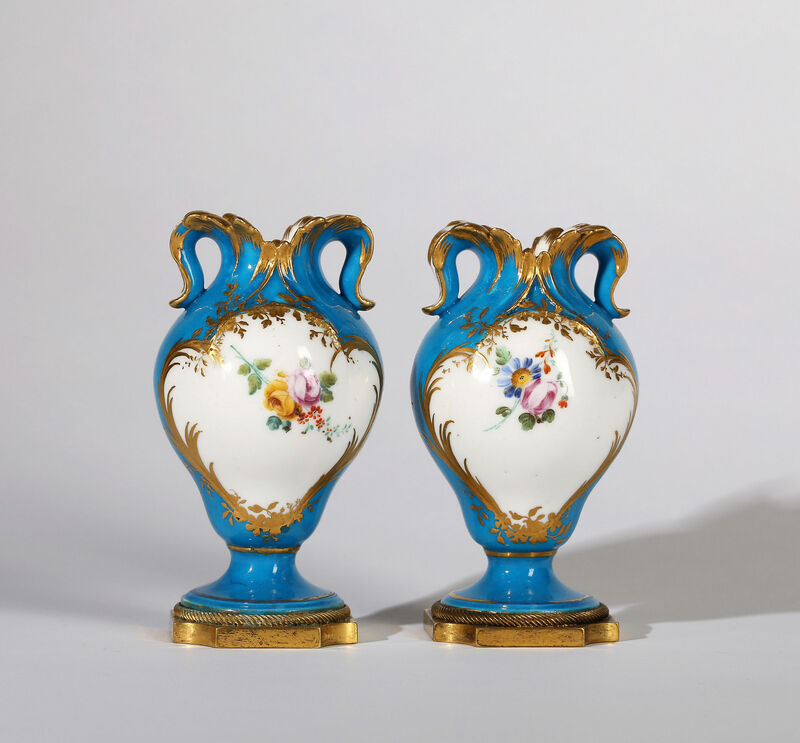 These vases à oreilles are either of the fifth size or sixth size. 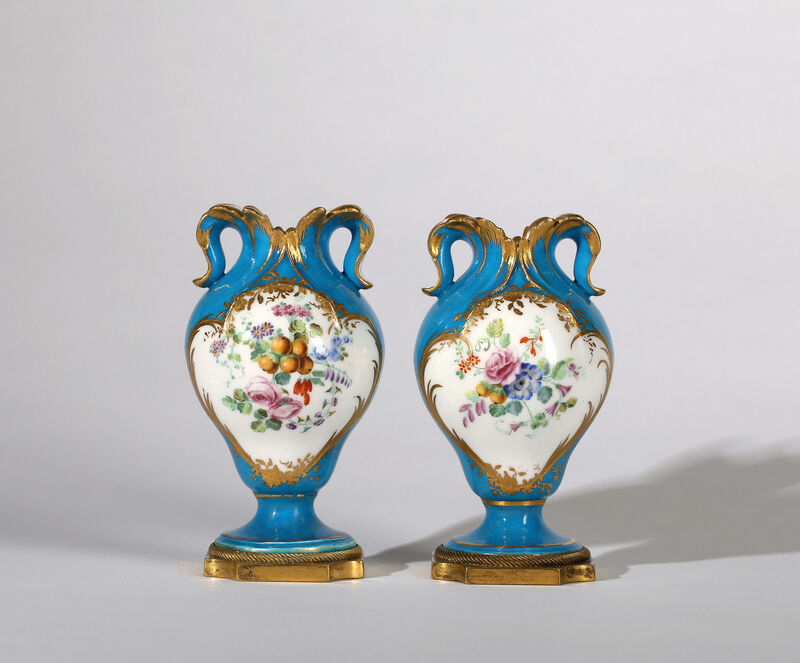 Rosalind Saville mentions in The Wallace Collection, Catalogue of Sèvres Porcelain’, I, p. 135, that this shape is recorded in six sizes and that five sizes are known. 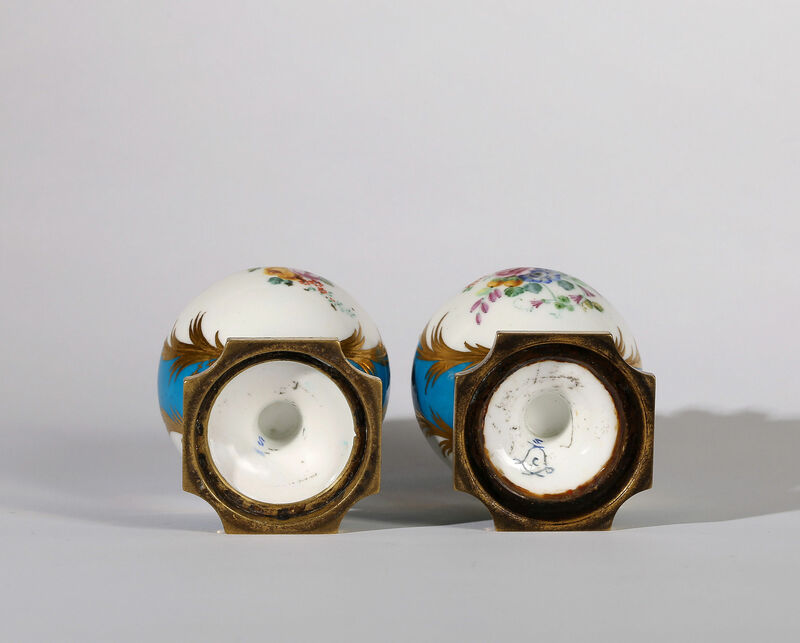 These vases at 10.5cm. 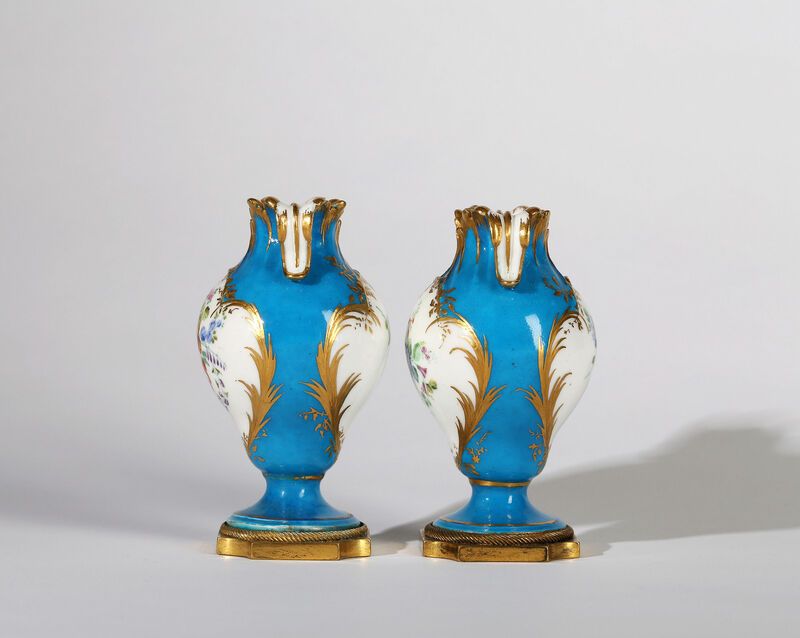 high are slightly smaller than the size given for vases of the fifth size at 11 to 11.3cm. high. Painted on both sides with panels of flowers and elaborate gilt borders. The ormolu mounts late 18th century or later. Condition – One large section of foot of one vase restored.